Plans to build a potato storage and biomass burner unit have been refused by councillors. Members of the Banff and Buchan Area Committee yesterday voted to reject the proposal in line with recommendations by council officials. A planning application submitted by agent Mantell Ritchie for the site at Keilhill, King Edward, near Banff, included the construction of two agricultural storage units, a potato storage unit, a building to incorporate a combined heat and power plant and an SSE building to transfer power to the national grid. There were 32 objections against the plans based on nearby residents’ fears over environmental impact, excess traffic and noise and light pollution. 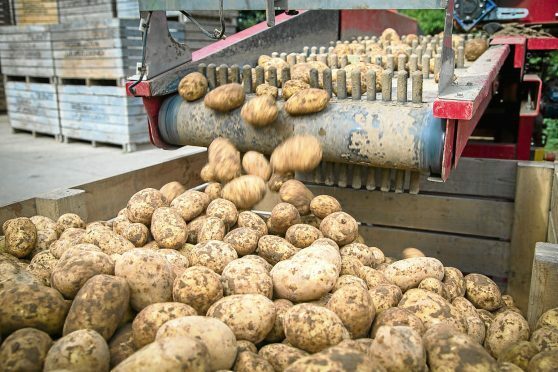 A representative from Keil Green Energy and the agent Mr Ritchie told councillors the proposals would help expand the business, which currently harvests 4,000 tonnes of seed potatoes for exporting and 750 tonnes of grain annually. The current site is too small to extend the operation any further according to the developer. If it had been approved, nearby properties would be offered hot water from the site produced by the CHP plant with industrial use of the water from businesses across Banff and Macduff. All of the councillors who spoke agreed they were “fascinated” with the idea of the water being driven in lorries to areas when the road was so narrow. Two neighbours said the development would pose a hazard to the health of locals, especially children. 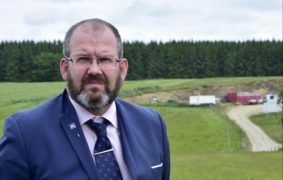 Troup councillor Mark Findlater said: “I’m quite concerned about this and there are things I’m not sure about such as the business plan. Fraserburgh councillor Doreen Mair put forward an amendment to the proposal. She requested the committee defers their decision until more details can be submitted with regards to the biomass unit and the hot water. It was put to a vote with the outcome of members voting six to two to reject the application.